Google Wishes Malaysia Happy 69th Birthday From the Future! Google Play Store wished Malaysia Happy 69th Birthday on their webpage, giving us a preview of a form of time travel that it had managed to develop. Google Play Store is sending us a message from 2026! Sadly this was proven to be a mere calculating (or typing) error as the message was taken down shortly after. It now features an accurate Merdeka Wish. 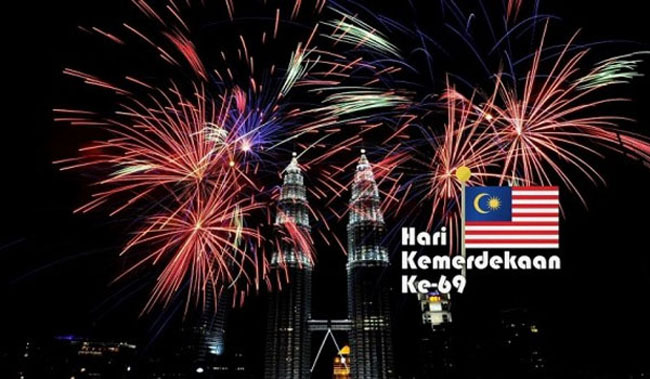 As most Malaysians should know, Malaysia is celebrating it’s 57th National Day on August 31st this year. It has been 57 years since 1957 when Malaysia first obtained independence from British colonial rule. 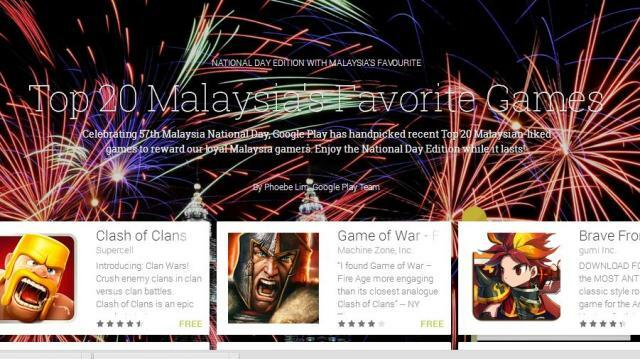 This correlating message seems to suggest a special promotion where Google Play is giving out the games for free during the Merdeka celebration. However, a quick look by yours truly decided that these games were already free to begin with anyways. But free is free and that’s hard to beat! 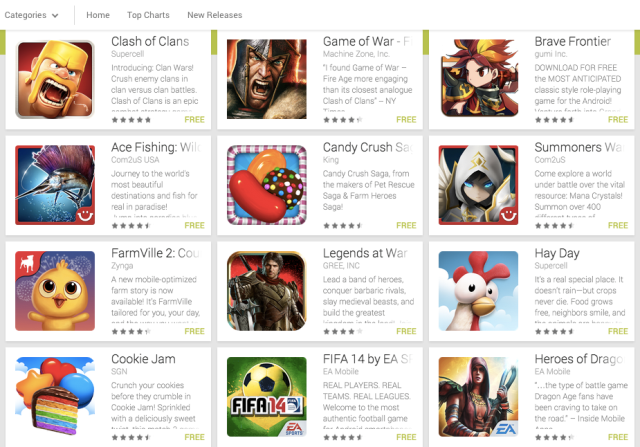 To Google conspirators, the initial blunder could be seen as a risky marketing scheme to get Malaysians excited about a mistake and swarm to the Google Play Store to have a look, thereby garnering more interest in the Top 20 Games in the list! After all, how many of you went to have a look and now have ‘Brave Frontier’, the classic style role-playing game with the adorable feature image, downloaded onto your phone? Or ‘Pes Manager’, where you ‘take on the world with your dream football team!’? Or perhaps you’ve decided to give ‘Stilland War HD’, an adventure massively multiplayer online role-playing game, a shot? After all, we are pretty fixated on the games in our phones. It is always nice to see what other Malaysians are obsessing over and join them.